Use ANSI Labels and meet ANSI standards. This Custom ANSI Danger Label is not just for workers, it is for safety inspectors too. 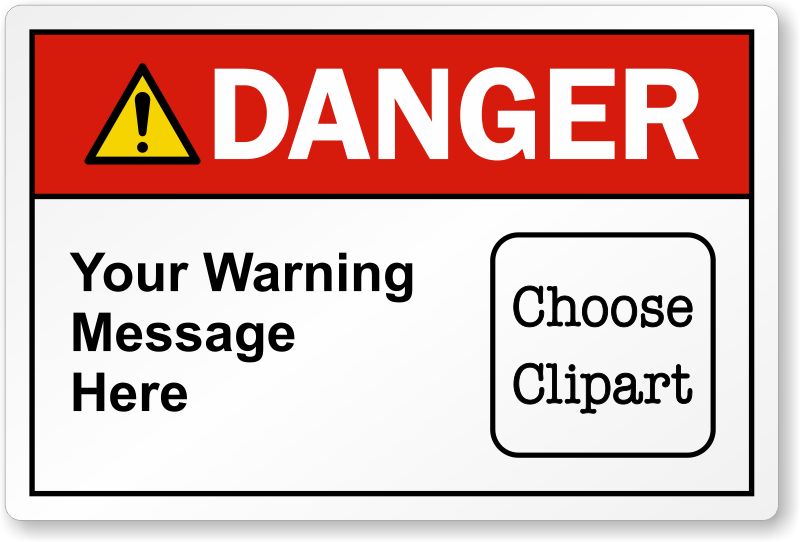 Personalize the clipart and safety message for the label - using our intuitive customization tool. Custom labels are easy to understand and help reduce workplace accidents. The drawing interface for customizing this Safety Label was fantastic. The minimum qtuany of four labels is far better than competitors charge. Thank you to MySafetyLabels!